As I was going about doing my work last week, I realize that first quarter of 2014 is coming to an end. When I took up my work contract in January, the work assignment looks pretty easy. 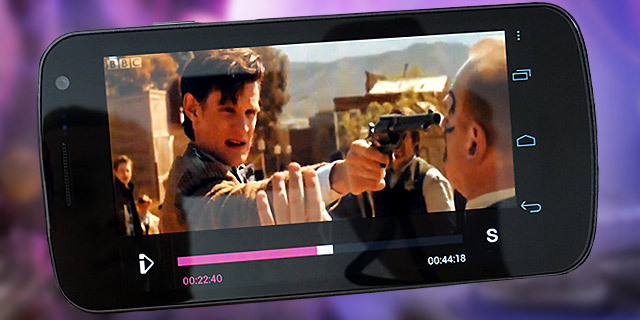 Video streaming, how hard can that be with today’s technology offering? It’s true, video streaming is no longer rocket science. If one decides to upload videos to YouTube or Vimeo, it’s a 5 minutes effort. The assignment slowly evolves into a much more complex task when I dabble into Android native app development. After scrambling for a couple of weeks, I managed to put development back on track. When I first discovered my Galaxy S3 with Android 4.3 could not support HLS, I was in denial. Flipping the app back and forth, checking if I am stuck with Android 2.3. It still amazes me today that as Android growing towards maturity, the video playback support turns more “sensitive”. Recently, I was feeling generous that I almost gave away my earlier Android devices. ALMOST. With a stroke of luck, I picked up a two year old Galaxy Note with Android 4.1, the video playback was perfect with HLS. Then, it dawn on me that Jellybean video player smells like LEMON. One week into this madness, I realize that I have made a grave error in making assumptions that all video sources are GOOD. with a change in encoding, my Jellybean finally works with my new streaming setup on AWS. Phew… moral of the story … CHECK the SOURCE..